The Widow Jones John J. Mcnally S New Comedy. 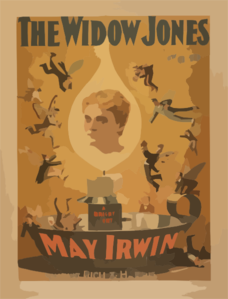 The widow Jones John J. McNally's new comedy. May Irwin In The Widow Jones Supported By John C. Rice.